So, who is Tony Stark? Marvel’s brand new International Iron Man series from Brian Michael Bendis and Alex Maleeve is setting out to discover just that! Ever since Tony found out he was adopted as a baby, it has cast a dark shadow over his life, now Tony Stark is about to embark on a journey to discover the truth. International Iron Man #1 marks the beginning of a new direction in Tony’s life, with a glimpse into events from Tony’s past while Iron Man will uncover new facts about the Marvel Universe in the present! Take the premise of Tony Stark’s wish to uncover what his legacy really is, splice it with a character deconstruction by Bendis and Maleeve along similar lines as their award winning and critically acclaimed run on Daredevil, and the you have the start of a bold new era for Tony Stark in International Iron Man. Those expecting all-out Iron Man action in this issue might be left feeling a little disappointed, however, stick with it and what you have here soon becomes a fascinating character study of Tony Stark during his formative years. Bendis is on fine form once again here, he has such a great handle on Tony Stark’s character. Its ingenious how the clever script offers us this glimpse into the events that shaped his early life, from the boisterous celebrations he finds himself caught up in, the wry humour, his strained relationship with his father, and Tony’s courting of Cassandra Gillespie – despite the best efforts of the bodyguards employed by her mother to keep a close eye on her daughters whereabouts – is electrifying and worthy of every moment that Bendis spends on driving the narrative with Tony’s and Cassandra’s sparkling, and often poignant, dialogue. 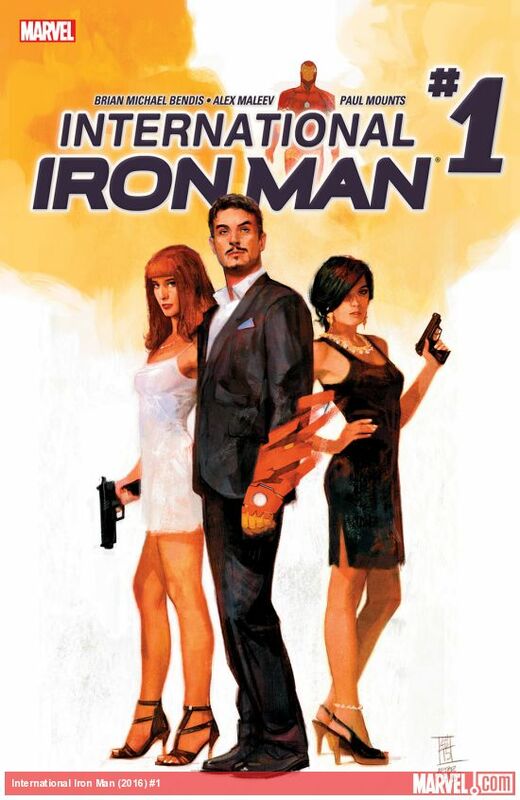 Alex Maleeve’s artwork for International Iron Man is utterly superb, every nuance of Bendis’ story is brought to live in vivid clarity, all of the emotional and humorous beats are spot on, and you will become so totally immersed in the plot that you’ll almost find yourself forgetting about the teasing opening scene as key events unfold in the past. Maleeve lavishes a stupendous level of detail on every panel, all the characters and expressions are well defined: from the punch up in the bar, to evading the bodyguards, it is the scene between Tony and Cassandra as they have lunch after a particularly dull lecture on advanced economics that really strikes a chord and illustrates the great level of characterization that’s sure to make this series stand out from the crowd. Paul Mounts colors are another crucial element in making this issue look so impressive, with pale hues and dusky tones all combining to accentuate every aspect of Alex Maleevel’s art – and I will certainly look forward to seeing more of their take on the Iron Man armor in future issues. The issue builds to a nerve jangling climax as Tony goes for lunch with Cassandra and her parents, and what follows during the action packed closing moments as past and present collide is sure to keep you counting down the days until the next issue. International Iron Man #1 gets this series off to a cracking start, with its great story by Brian Michael Bendis, together with the stunning artwork by Alex Maleeve and colors by Paul Mounts, it ensures that International Iron Man #1 will be an issue that will have you going back to read again many times over just to saviour the beautiful synergy of art and storytelling it so skilfully achieves. 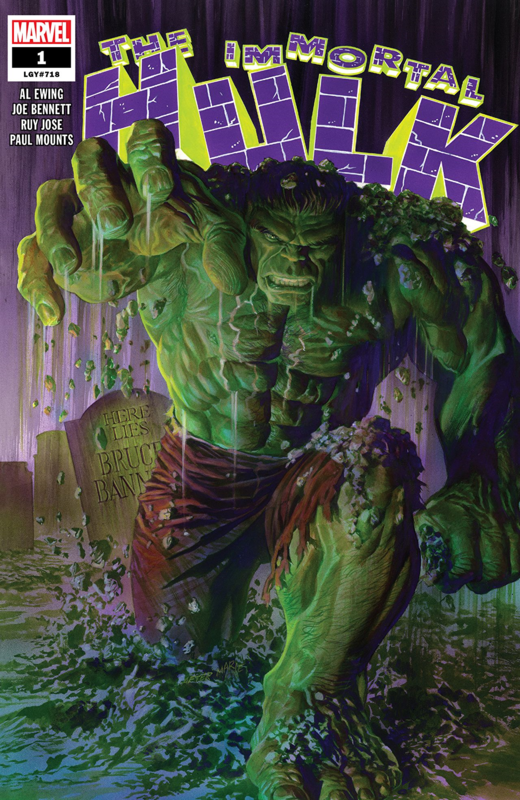 Colors: Paul Mounts / VC’s Clayton Cowles: Letterer & Production.